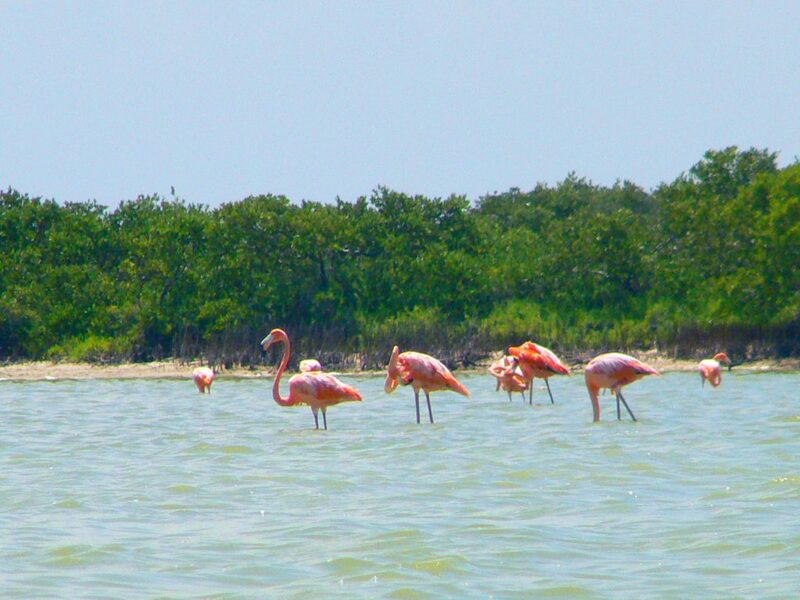 The surprising color of these waters, used as salt-work since the mayan era, is due to a mix of plankton, red-colored algae and shrimps; when the water evaporates the concentration of these elements increase, creating different shadows of pink, red or orange. And you want to know something really interesting? The flamingos too are pink because they eat this stuff! In the past people used to swim in these waters even if they are used to produce salt, but recently the corporation that owns the area found out a huge percentage of urine during their quality tests and decided to close the main road access to the beach and banned the swimming. The only option you have at present to get here is to hire a boat from Rio Lagartos, and that's exactly what I did. The best (and only, as far a I know) way to get there is taking a boat tour from Rio Lagartos. As soon as we got to the village we were approached by a guide that offered us a tour for 1500 pesos (75 euros), but after a short negotiation we paid 1100 (55 euros). I read on blogs online that you can get a cheaper price, especially if you are traveling with a mexican (and it was not my case). the truth is: it was hot as hell and we really couldn't think of going around looking for other guides and other agencies... so we though the price was fair enough and got it. And here's a delicate issue: the people who will accompany you on the tours are fisher men, and I asked myself if it was ethical or not to give them money that they may use to improve their fishing activity... I honestly don't have an answer, but I know about many of them in different parts of the world that shifted their job from fishing to tourism, as the latter is getting more and more rewardable. The tour I took lasted something more than 2 hours, and it was absolutely worthy! First we visited Las Coloradas, jumped off the boat and were able to have a walk around: it was like walking on the moon! While we were taking pictures and putting our feet in the water our guide collected some mud that we would use later as a natural beauty treatment, we couldn't wait to try it but before that we had something else to to: see the flamingos. Once again on the boat we looked for these beautiful pink animals; the guide knew quite well were they used to stay so it wasn't difficult to spot them; what I really appreciated was that we didn't get too close, we didn't bother them at all. 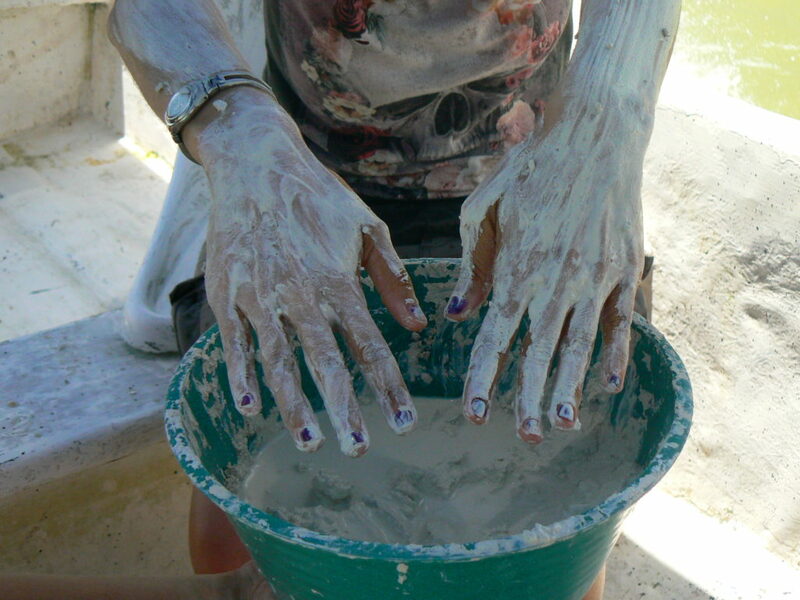 Now we were ready to head to our next destination, a spectacular beach with warm and transparent water, and while we were getting there we could put the mud on our skin and let it performs its magic... this salty mud is believed to purify and clean your skin, and I have to say that it actually did. When we finally arrived on the beach we could have a nice swim and wash away the mud. If you like nature and want to see something that is still off the beaten track I strongly recommend this experience, I totally loved it. Getting to Las Coloradas by bus is not as complicated as someone may tell you. 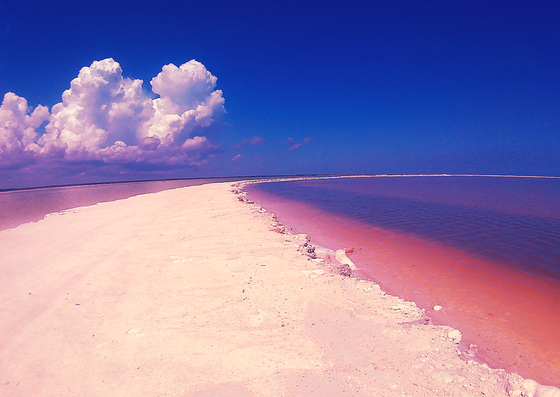 I suggest you visit Las Coloradas as a day trip from the city of Valladolid; once you are there it is easy too take a bus to the city of Tizimin, and from Tizimin you can take a bus to Rio Lagartos, were you'll take to boat to Las Coloradas. It will take you about two hours. My recommendation is that you leave early in the morning so you can enjoy better temperatures. Here you can check Bus Schedules to and from different connections with Tizimin and Rio Lagartos. What a LOVELY place you have here! This is my first time visiting and commenting! LOVED hearing about your travels and your VEGAN-Ness!!! Always nice ‘meeting’ fellow veggie bloggers!